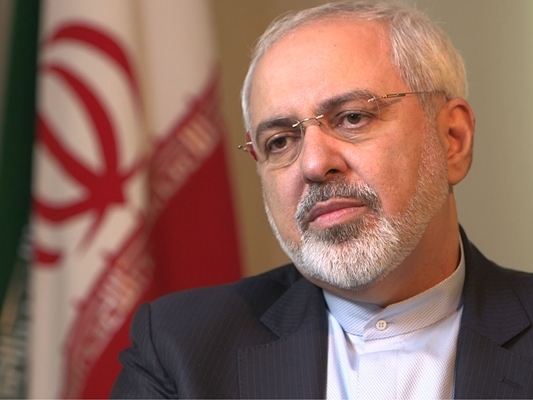 Iran’s Foreign Minister Mohammad Javad Zarif has formally called for a session of the JCPOA joint commission – a group tasked with monitoring commitments to a nuclear deal between Tehran and six world powers – on the US government’s violation of the accord. In a letter to EU High Representative for Foreign Affairs and Security Policy Federica Mogherini, who is also the coordinator of the JCPOA joint commission, Zarif called on her to convene a session of the commission to address a recent US congressional bill extending Iran Sanctions Act (ISA) for another ten years. Highlighting the reciprocal undertakings of the parties to the Joint Comprehensive Plan of Action (JCPOA) and the multilateral nature of the agreement, Zarif stressed that Iran has lived up to its commitments to the deal over the past year and a half, adding, “Maintaining the integrity and consistency of the JCPOA and its survival requires” full implementation of the deal by all parties. The top Iranian diplomat also asked Mogherini to inform the whole parties to the JCPOA about recurring breach of the deal by the US, make preparations for a JCPOA joint commission meeting, and convene a taskforce in the commission working exclusively on the sanctions. The letter came after Iranian President Hassan Rouhani called on the Foreign Ministry and the Atomic Energy Organization of Iran (AEOI) to initiate processes to react to the US government’s violation of the JCPOA, a nuclear agreement between Iran and the Group 5+1 (Russia, China, the US, Britain, France and Germany) that took effect in January. Earlier in December, the US Senate voted 99-0 to extend the ISA for another decade. The bill was passed by the House of Representatives nearly unanimously in November. The renewal of ISA took effect on December 15 with a procedural protest from President Barack Obama, who decided to let the legislation become law without his signature. President Hassan Rouhani had already warned that implementation of ISA will constitute a “clear and flagrant violation of the JCPOA” and draw a “very harsh reaction” from Tehran.